We are pleased to announce GoodRx has selected Split’s unified feature flag and experimentation platform to drive innovation for their desktop and mobile application. GoodRx’s market-intelligence platform gathers retail prices and coupons for medications at more than 70,000 pharmacies across the U.S., helping over 10 million consumers save on their prescriptions each month. With an initial goal of improving the user experience, GoodRx application teams started conducting basic A/B tests on their desktop and mobile application using an in-house feature flagging solution. As their user base continued to grow, the team wanted to leverage more sophisticated product experimentation to increase conversions and user adoption. However, extending the in-house system to support increasing scale and scope was outside their expertise and siphoned resources away from delivering customer value. Using Split allows GoodRx to centrally track and monitor feature flags and experiments on front and backend applications. Split’s intuitive user interface makes it easy to get new features up and running quickly, providing a platform for feature testing that has far-reaching impact on the user. If the minimum viable feature doesn’t test well with users, they will work to make it better, then execute another user test. The rapid feedback loop helps engineers refine functionality and speed up the iteration of ideas to speed time to value. 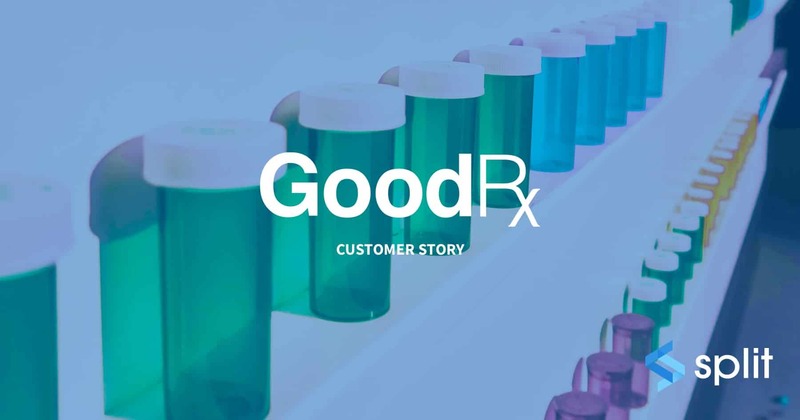 Read GoodRx’s full customer story here. The GoodRx team liked Split’s advanced segmentation capabilities such as assigning custom attributes for more granular user targeting. GoodRx also takes advantage of Split’s whitelist functionality to make internal testing of backend systems much more manageable. Read the full customer story to learn more about how GoodRx is using Split.